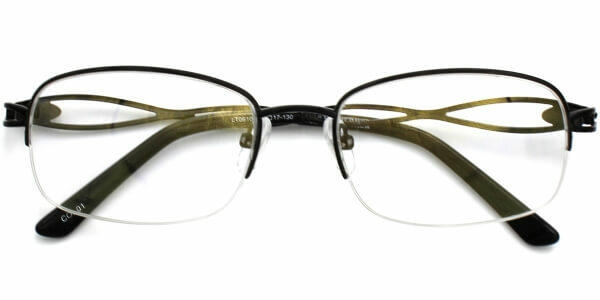 www.leoptique.com (the “Website”) is owned by and/or operated by or on behalf of Bestrade Inc. (“Leoptique/we/us”). If you have any questions regarding the Website or these terms and conditions, or if you have any complaints about any products purchased, or any services you received from the Website or through any Applications (as defined below), you can contact us at: customerservice@leoptique.com. These terms and conditions were last revised on 16 December 2016. These terms and conditions and any other policies referred to in these terms and conditions (including any policies or documents to which a link is provided from these terms and conditions) (together the “Terms”) apply to your use and access to the Website and any other website or application permitting you to place an order with Leoptique for any products and services (such websites and applications being the “Applications” for the purpose of these Terms) including all orders submitted by you for any products or services made available by us for purchase over the Website and/or the Applications. As the context requires, references to “Website” in these Terms shall also include Applications as applicable. By accessing this Website and/or Applications you acknowledge that you have read, understand, and agree to be unconditionally bound by these Terms and we therefor advise you to read these Terms carefully and to save or print a copy of these Terms and Conditions for future reference. If you do not agree to these Terms, you must cease using and accessing the Website and all Applications immediately. The Terms may be changed and updated from time to time and any changes will be effective from the publication of the amended Terms on the Website or relevant Application. Please note that all options available on our Website may not be available on any Application or the Website accessed using a mobile device. The Services are generally not intended for persons under the age of eighteen (18) years (or age of majority of the individual's relevant jurisdiction). If you are under this age, please do not view, use, register for, or subscribe to, the Website or the Services. If we learn that you are under eighteen (18) years of age or any other majority age in your jurisdiction (or fraudulently misrepresented your age during the registration or subscription process, if applicable), we will promptly cancel your registration, or subscription, if any, and stop providing you the Services. Please note that these Terms do not affect your statutory rights as a consumer. You agree that the information you provide when you register on this Website is not misleading, true and accurate in all respects and you will notify our customer service team of any changes to that information. This Website may include links to other websites or resources (“Linked Websites”). Leoptique has no control over the content of Linked Websites and you agree that, should you access a Linked Website using a link from this Website, Leoptique is not responsible for the availability of the Linked Websites, and is not liable in any way for the content of linked websites, including (without limitation) any goods or services available from such Linked websites, other advertising or content on such Linked Websites or the use that such linked websites make of your personal information. Furthermore, Leoptique will not be responsible for any offence, damage or loss caused by or connected to the use or reliance on such lined websites or the content thereon. Leoptique may deny your access to this Website for publication at any time in its sole discretion. Examples of when we may so deny your access include but is not limited to where we believe that your use of the Website is in violation of any of these Terms, any law or the rights of any third party or was not respectful to others. Any material that you upload to this Website will be considered non-confidential and non-proprietary and we have the right to use, copy, distribute, reproduce, exploit, modify, alter and/or and disclose to third parties any such material for any purpose. We also have the right to disclose your identity to any third party who is claiming that any material posted or uploaded by you to our site constitutes a violation of their intellectual property rights or of their right to privacy. Leoptique will not be responsible, or liable to you or any third party, for the content or accuracy of any materials posted by you or any other user of this Website and you hereby agree to be responsible to Leoptique for and indemnify, defend and hold harmless Leoptique and keep Leoptique indemnified against all costs, damages, expenses, losses and liabilities (including reasonable attorney’s fees) incurred and/or suffered by Leoptique as a result of any claim in respect of your use of the Website or any activity related to your account by you or any person other than Leoptique. Leoptique has the right to remove any material or posting you make on the Website in Leoptique’s sole discretion. We may offer you that ability through the Website to check the availability of certain products, but it does not guarantee that the product checked will be available when you purchase. 4. If shipping restrictions may apply to a product. When placing an order for the first time, you may be offered the option to register with us and will be required to complete certain required fields on an order form. We may provide you with and/or ask you to use identifications and passwords and other means for you to be able to access certain areas of the Website, such as the My Account section of the Website (“Secure Access”). Where we do so, it is on the condition that you shall be responsible for ensuring that such Secure Access is kept secure and confidential at all the times. You shall comply with all security directions and/or recommendations given by us and inform us immediately if you become aware of or suspect any unauthorized use of the Secure Access or if the Secure Access becomes available to an unauthorized party. Without prejudice to our other rights and remedies, we may suspend your access to the Website without liability to you, if in our reasonable opinion, such action is necessary for safeguarding the Website. In the event of prolonged inactivity causes your connection to the Website to fail, your selection of goods may be lost. In such case, you will be required to re-enter your selection. Please note that items in your shopping basket and on your wishlist are not reserved and may be purchased by other customers. You can choose to hold an order for 24 hours before production begins. When an order is made, we start production on your glasses based on the customer choice in the order. Your lenses are created, custom ground, and polished using the finest European machines, clean rooms and careful personal attention to every pair. Your order is placed for processing by a selected supplier’s factory, in China or other locations. The product will be shipped directly from the factory after sophisticated lab tests and quality control procedures. You will be charged for products (together with the relevant delivery charges, card processing or payment processing charges) before they are being produced. Variations in both the manufacturing processes we use and the display properties of the computer hardware you use to view our Website may mean that the colors, measurements, materials and designs of the products displayed on our Website and the products received by you may differ in appearance in minor respects. All prices of products on this Website are stated in United States Dollars and are the price for the products only. They do not include any applicable sales tax payable. They do not include the charge for delivery. We endeavor to ensure that all pricing information on the Website is correct. Occasionally, however, an error may occur and products may be mispriced. If a product’s correct price is lower than the price stated on the Website, subject to our right to refuse an order pursuant to the section on “Purchase of Products” 1 (a), we will charge the lower amount and send you the product. If a product’s correct price is higher than the price stated on the Website, we will, at our discretion, contact you and ask you whether you wish to proceed with the order at the correct price or cancel your order and notify you of such cancellation. We will not be obliged to supply products at an incorrect price. If we have taken an advance payment in circumstances where pricing information is incorrect, we shall endeavor to refund the payment taken as soon as possible if the product has not been shipped. 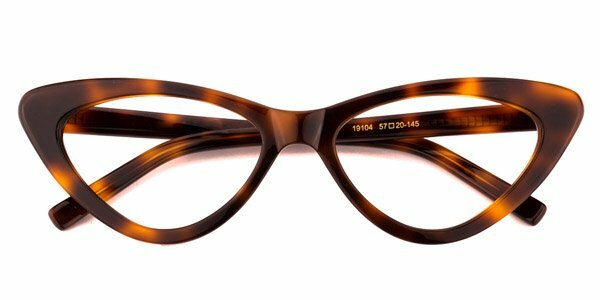 Leoptique may vary the prices of products listed on this Website at any time and without any notice but such changes will not apply to products in respect of which you have been sent a Dispatch Confirmation. Please note that in some countries additional duties, taxes, fees, or similar charges may be payable to your national and local tax authorities on receipt of your delivery or in conjunction with your order, including without limitation, sales, use, excise, import, or similar taxes or duties. You will be responsible for payment of any such duties, fees, and taxes. Please note that we have no control over these changes and cannot predict their amount. Please contact your local customs office for further information before placing your order. Please also note that you must comply with all applicable laws and regulations of the country for which the products are destined. We will not be liable for any breach by you of any such laws. The total cost of your order will be the purchase price for the products, plus any delivery charges. Please note that we accept payment in United States Dollars. You confirm that the credit/debit card that is being used is yours and that all details you provide to us in respect there of including, without limitation, name and address details are complete, correct and accurate. You further confirm that the credit/debit card is valid and the inputted payment details are correct. All credit/debit cardholders are subject to validation checks and authorization by the card issuer. If the issuer of your card refuses to authorize payment, we will not accept your order and we will not be liable for any delay or non-delivery and we are not obliged to inform you of the reason for the refusal. We are not responsible for any charges or other amounts which may be applied by your card issuer or bank as a result of our processing of your credit/debit card payment in accordance with your order. If your credit/debit card is not denominated in the currency of your purchase indicated on the Website, the final price may be charged in the currency of your card. Such final price is calculated and charged by your card issuer or bank and therefore we shall not be responsible for any cost, expense, charge or other liability which may be incurred or suffered by you as a result of your card issuer charging you in a different currency other than the currency of your purchase as displayed on the Website. Gift Cards and e-vouchers can be redeemed against all products (except gift cards) online on the Leoptique.com. Sales tax may be applicable on products purchased with a Gift Card depending on the delivery destination of your order. If the total amount of your order is less than the value of the Gift Card, the remaining balance will remain on your Gift Card or e-voucher and can be redeemed against subsequent orders. If the total amount of your order is more than the value of the Gift Card, the remaining balance must be paid by a valid form of payment. If you return products purchased in whole or in part with a Gift Card or e-voucher your refund will be credited by an e-voucher. Only original gift cards will be accepted. For enquiries regarding the authenticity or validity of your Gift Card, please contact customer service at Contact Us. Leoptique is not responsible if a Gift Card is lost, stolen, destroyed or used without permission. Orders will be sent to the delivery address that you have given on your order form. We cannot be held responsible if that delivery address is incorrect or incomplete. Please note that we do not deliver to PO boxes. Please note that there are restrictions on the locations to which we deliver products purchased from our Website. Details of the locations to which we deliver are available from us on request. Orders received on a day which is not a working day will be processed on the next working day. Estimated delivery times will be calculated from the date when the product is ready to ship, unless otherwise specified. For these purposes, a working day means any day in which banks are open for business in North America, other than Saturdays and Sundays or public holidays. The date and time of collection of such products for delivery to your nominated address, where you have elected to collect your order. Once a product has been received by you or collected by you (or you nominated third party), all risk of damage to, or loss of, the product shall pass to you. In the event that a product is subsequently imported into a country, you shall be responsible for complying with all local import requirements, laws, regulations and rules and paying all import taxes and duties as may be applicable in respect thereof. Should you wish to cancel or return any products, you may only do so in accordance with our Returns & Cancellation policy. This Website and all content (including, but not limited to, logs, text, data compilations, graphics, icons, images, photographs, audio clips, sounds, music, and software, and any combination thereof) available on this Website (the “Content”), is either owned or licensed by Leoptique, and is protected by applicable copyright laws and other intellectual property laws and treaties around the world. All such rights are reserved. The “Leoptique” trade mark as well as all trademarks, whether they are figurative or not, and all other marks, trade names, service marks, brand names, business names, illustrations, images, logos which appear on our products, Website, accessories or packaging, whether registered or not (the “Trade Marks”), are and remain the exclusive property of Leoptique and/or its licensors and are protected by applicable trade mark laws, regulations, directives, rules, and treaties around the world. All such rights are reserved. All other intellectual property rights (including, without limitation, registered or unregistered designs, copyrights, trademarks, patents, service marks, logos, trade dress, trade names, trade secrets, inventions, know-how, and moral rights) in or related to the Website, the products depicted and/or available on the Website and any accessories, stationery, packaging or ancillary items connected to such products, your order or the Website (the “Intellectual Property Rights”) are and shall remain the exclusive property of Leoptique and/or its licensors and such intellectual property rights are protected by applicable intellectual property laws, regulations, directives and treaties around the world, All such rights are reserved. 3. use software robots, spiders, crawlers, or similar data gathering and extraction tools, or take any other action that may impose an unreasonable burden or load on our infrastructure. Leoptique may terminate such limited license set forth in this Section at any time in its sole discretion without prejudice to any other remedy we may have against you pursuant to applicable law for any reason whatsoever or for any breach of these Terms. Leoptique grants you a limited right to access and use the Website and Content solely for your personal use. Unless otherwise specified on the Website, you may download Content displayed on the Website, and may use the downloaded Content, solely for your personal and noncommercial use. You may print any textual Content available for downloading on the Website, solely for your personal and noncommercial use. You must retain all intellectual property and other proprietary or restrictive notices to the extent they appear on downloaded, transmitted, and copied Content, and any such downloads, transmissions, or copies are subject to these Terms. As between Leoptique and you, the Content and this Website shall remain the property of Leoptique. Use, transmission, or downloading of the Content is conditioned on these Terms. By acquiring, transmitting, or using the Content or using the Website, you agree to such Terms. You may not download, copy, transmit, or use any of the Content or Website except as expressly authorized by these Terms and, in any event, you may not distribute, modify, copy, adapt, transmit, publish, publicly display, or sell, license, or create derivative works of the Content or Website other that in accordance with these Terms or as expressly indicated in writing by Leoptique on the Website. 8. Use the Website or Content for any unlawful purpose. Leoptique endeavours to ensure that the information posted on this Website is accurate and complete. Leoptique does not, however, guarantee that the Content or any other information available on the Website is accurate and/or error free, Leoptique does not promise that the functionality of the Website or Content will be error free or that the Website, Content or the server that makes it available are free of viruses, malicious code or other components which are potentially harmful. Leoptique recommends that all users of the Internet ensure they have up to date virus checking software installed. TO THE MAXIMUM EXTENT PERMITTED BY APPLICABLE LAW, LEOPTIQUE AND LEOPTIQUE’S AFFILIATES, LICENSORS, SUPPLIERS, ADVERTISERS, SPONSORS AND AGENTS DISCLAIM AND EXCLUDE ALL OTHER TERMS, CONDITIONS, REPRESENTATIONS, AND WARRANTIES IN RELATION TO THE WEBSITE, CONTENT, USER CONTENT, PRODUCTS AND SERVICES WHETHER EXPRESS OR IMPLIED BY STATUTE OR OTHERWISE, INCLUDING WITHOUT LIMITATION, WARRANTIES OF MERCHANTABILITY, FITNESS FOR A PARTICULAR PURPOSE, SECURITY, ACCURACY, TITLE, OR NON-INFRINGEMENT OF INTELLECTURAL PROPERTY, AND ANY WARRANTIES THAT MAY ARISE FROM COURSE OF PERFORMANCE OR COURSE OF DEALING OR USAGE OR TRADE PRACTICE. THIS WEBSITE AND THE CONTENT IS PROVIDED AS IS, AS AVALABLE WITH ALL FAULTS. LEOPTIQUE AND ITS AFFILIATES, LICENSORS, SUPPLIERS, ADVERTISERS, SPONSORS AND AGENTS DO NOT WARRANT THAT YOUR USE OF THE WEBSITE OR THE SERVICES WILL BE UNINTERRUPTED, ERROR-FREE OR SECURE, THAT DEFECTS WILL BE CORRECTED, OR THA THE SITE, THE SERVER(S) ON WHICH THE SITE IS HOSTED OR SOFTWARE ARE FREE OF VIRUSES OR OTHER HARMFUL COMPONENTS. YOU ACKNOWLEDGE THAT YOU ARE RESPONSIBLE FOR OBTAINING AND MAINTAINING ALL TELEPHONE, COMPUTER HARDWARE AND OTHER EQUIPMMENT NEEDED TO ACCESS AND USE THE WEBSITE, AND ALL CHARGES RELATED THERTO. YOU ASSUME ALL RESPONSIBILITY AND RISK FOR YOUR USE OF THE WEBSITE, CONTENT, AND THE SERVICES AND YOUR RELIANCE THERON. NO OPINION, ADVICE OR STATEMENT OF LEOPTIQUE OR ITS AFFILIATES, LICENSORS, SUPPLIERS, ADVERTISERS, SPONSORS, AGENTS, MEMBERS OR VISITORS, WHETHER MADE ON THE WEBSITE OR OTHERWISE, SHALL CREATE ANY WARRANTY. YOUR USE OF THE WEBSITE AND ANY CONTENT PROVIDED THROUGH THE WEBSITE ARE ENTIRELY AT YOUR OWN RISK. Nothing in these Terms limits or excludes our liability: for death or personal injury caused by negligence; for fraud or fraudulent misrepresentation; or for any other liability which cannot be limited or excluded by applicable law. 3. Special, indirect, consequential, special, exemplary, punitive losses or damages suffered or incurred by you arising out of or in connection with these Terms, this Website, Content or User Content contained on the site, any linked site or any service or products purchased or provided through this Website, under any contract, negligence, strict liability or other theory. Subject to above two clauses of Section Limitation of Liability, the sole and exclusive and maximum total liability under these Terms of Leoptique and/or its directors, officers, employees, consultants, agents and other representatives, whether arising under contract, tort (including negligence), strict liability, or breach of statutory duty or otherwise shall in no event exceed 100% of the price of the product paid by you that you have purchased from Leoptique through the Website during the six month period preceding the date on which the claim arose. We reserve the right to transfer, assign, novate or sub-contract all or any of our rights and obligations under these Terms provided that your rights under these Terms are not affected. You may not assign, sub-contract, novate, or otherwise transfer any of your rights or obligations under these Terms without our consent in writing. 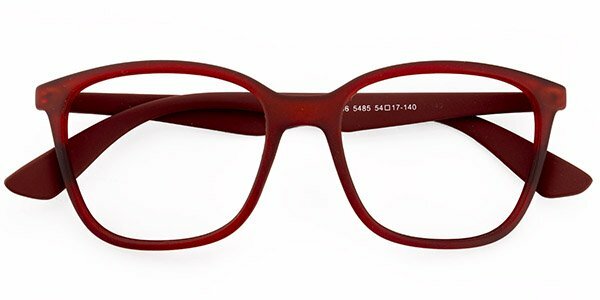 Leoptique respects the intellectual property rights of others. In accordance with the Digital Millennium Copyright Act of 1998 (“DMCA”), the text of which may be found on the U.S. Copyright Office website at http://www.copyright.gov/legislation/dmca.pdf, Leoptique will respond expeditiously to claims of copyright infringement committed using the Website that are properly reported to Leoptique’s Designated Copyright Agent. g. your address, telephone number and email address.